Sharkara is made from sugar cane and is the most highly valued type of ayurvedic sugar. This royal sugar requires a lot of effort to produce and that is done exclusively for Amla Natur in small factories in India. It is made using traditional ayurvedic methods. The complex production process reduces the acid-producing parts of cane sugar, which are mainly found in the joints and roots of the plant. Sharkara is very mild and according to ayurveda has a harmonising effect, particularly calming vata and pitta doshas. The acid-producing parts of cane sugar are mainly found in the joints and roots of the plant. Cleaning and the slow process of re-crystallisation remove these toxins. During production about 1/3 of the volume is lost. The light yellow, uneven crystals that are left are dried in the hot, Indian summer sun. 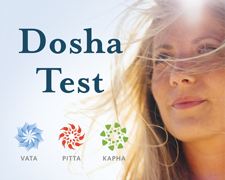 This process ripens them and gives them their ayurvedic potency. Finally, they are crushed into smaller pieces and then ground to a powder. At the end of the refining process sugar is usually bleached with sulphuric acid, which destroys any ayurvedic qualities. 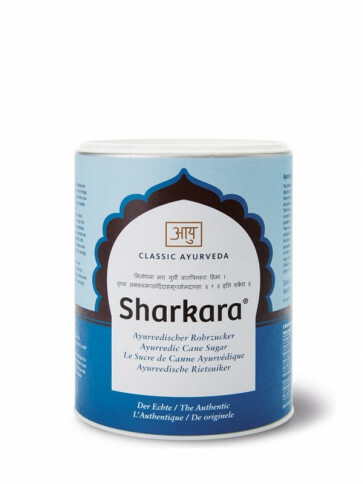 Genuine sharkara, from classic ayurveda, is not treated in this way. This can be seen from its light grey colour. It has an almost neutral pH value.